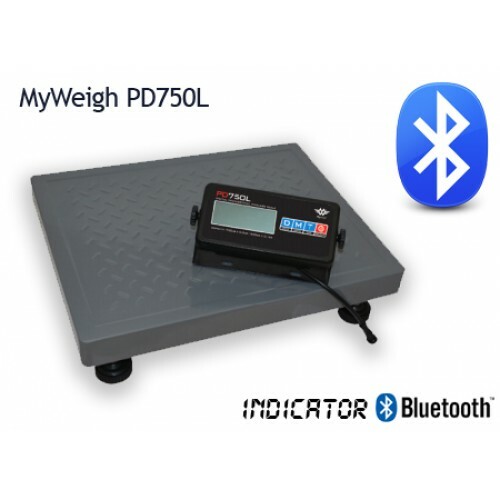 The My Weigh PD-750L is designed for personal and commercial use. Uses bluetooth technology which allows you to have a wireless indicator. Also designed with a large heavy duty design non slip platform (18" x 14"). The PD-750L has a Capacity of 750lbs with a resolution of 0.2lbs. 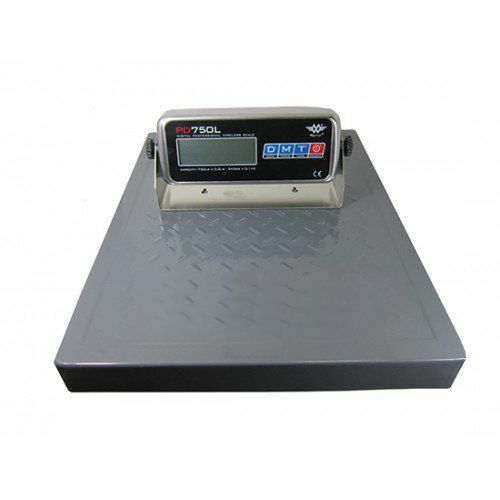 Besides Pounds, the PD-750L can weigh in Kilograms and Stones. All of this wrapped around My Weighs 30 year manufacturer's warranty. Platform Size 18" x 14" x 4"
Indicator Size 8.625" x 3.75" x 1.5"
The Display Is Wireless. Really! My Weigh did a great job designing this high capacity scale. You can either use the scale with the display connected to the platform, (saves power) or use the display completely wirelessly with Bluetooth technology! When you're in wireless mode you need six batteries for the base and the included adapter for the display. If you want the ultimate in wireless, stick six batteries in the display, too, and take it up to 18 feet from the base. No power outlet needed! If you don't really need a wireless display, hook the display to the base with the included cable and you only need to power the display with either the included power adapter or six batteries. The PD750L has a whoppin' 18 inch by 14 inch platform. Before you spend your dough on this mighty scale, make sure you have room! This bariatric scale has a USB port so ya can send your weight readings to your computer. This will save ya from having to write down your weights...the USB cable is even included! You won't have to worry about dust and dirt getting stuck under and around this obesity scale's buttons...The PD750L has an easy to clean membrane keypad with accurately labeled keys for easy weighing. To make sure ya get the most accurate weight readings from this high capacity scale, My Weigh designed the PD-750L with adjustable feet. 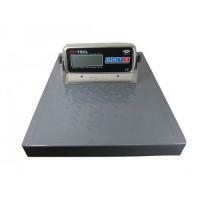 So no matter where you're weighing you can make sure your scale is nice and leveled. The tare button on the PD750L weight display can be pressed to "zero out" the weight on the scale. You can then add more weight, and the display will only show the weight of the items you're adding. If ya ever have a problem with the PD750-L, just send it in to My Weigh's warranty center in Phoenix, Arizona. They'll fix or replace your scale and have it on its way back to you within a few working days.